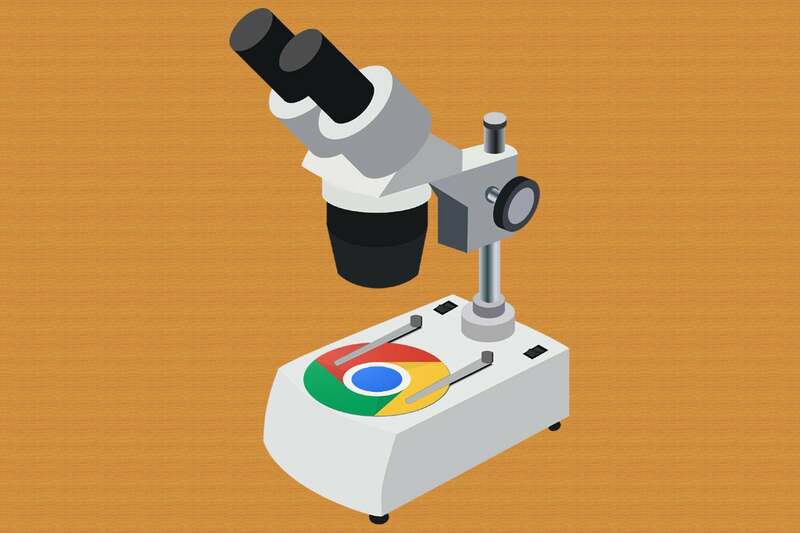 Realize it or not, you've probably heard plenty of hokum about Google's Chrome OS platform. Time to separate fact from fiction. Pshaw! Why would anyone pay for a browser in a box? Harrumph! Isn't Google about to get rid of those and make the whole thing a part of Android, anyway? These are the sorts of misguided statements sentient creatures have been making since the earliest days of Google's Chrome OS platform (y'know, way back in the early 1700s, when I first started writing about this stuff). A lot has changed since the Chromebook's debut — both with the software itself and with the way we hominids use technology in general — but the stubborn old inaccurate assessments remain. Here in the real world of 2017, Google's making it increasingly clear that it takes Chromebooks seriously — and that these systems aren't going anywhere anytime soon. The argument can be made, in fact, that the Chromebook is on its way to becoming a whole new kind of all-purpose productivity machine. On a more macro level, meanwhile, sales are consistently strong, and a fresh focus is being placed on Chrome OS adoption in the enterprise. In other words: This isn't a clunky little experiment anymore, y'all. And what you've heard from the past doesn't necessarily hold true for the present. So let's put some of the biggest Chromebook myths to rest once and for all, shall we? Myth #1: You can't do much of anything on a Chromebook. Sorry, Mojambo, but this stale ol' tale is as faulty as it gets. Chrome OS is a different type of computing environment than the more traditional operating systems many mortals are used to, but that doesn't mean it can't do anything. It just means it does things in a different way. As a cloud-centric operating system, Chrome OS is at its core focused primarily on web-based applications. So, no, you can't install the Microsoft Word desktop app on a Chromebook, as Chrome OS doesn't use traditional local PC software — but you can use a web-based office suite like Google Docs, which has matured into a viable-for-most-common-needs alternative to Clippyville, or you can use Microsoft's own cloud-based version of its Office programs. But wait! 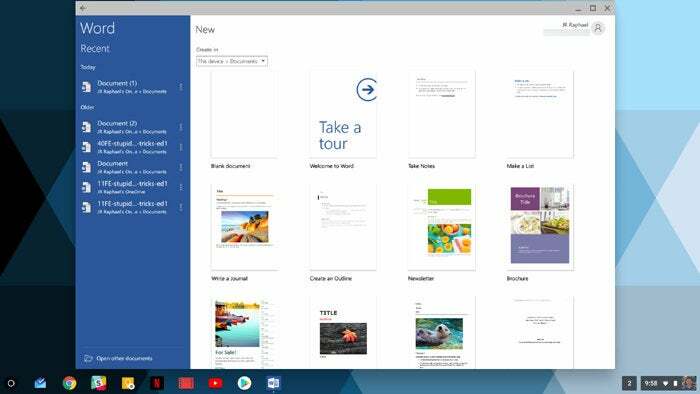 Thanks to the recently added support for Android apps on Chrome OS, you also now have the option of installing the fully featured Microsoft Word Android app on a Chromebook and using it right alongside your regular browser windows. You can even go with a less costly third-party option like OfficeSuite Pro, Polaris Office, or WPS Office. 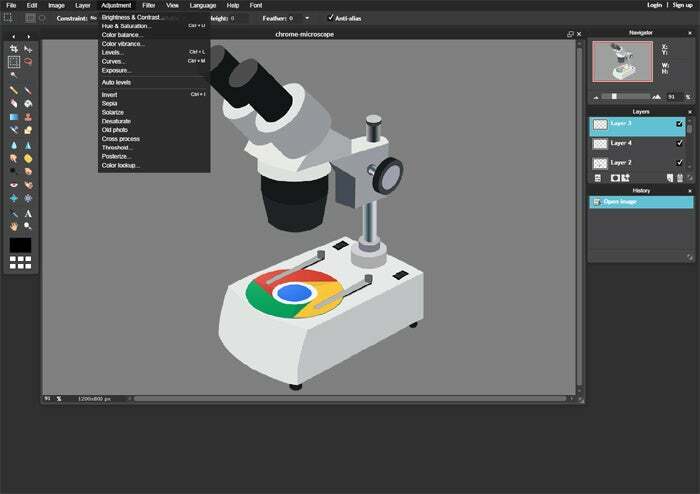 In a similar vein, you may not be able to install the Photoshop desktop app on a Chromebook — but you can use the integrated Chrome OS image editor for basic tweaks or turn to any number of web utilities (like Pixlr or Polarr) or Android apps (including those made by Adobe, Autodesk, and Google) to get the job done. It may not be Photoshop, but Pixlr's web-based editor is a surprisingly capable substitute when it comes to casual image work. Between web-based tools and Android apps, you'd be surprised at how much you can accomplish on a Chromebook today. And here in this 17th year of our 21st century, the reality is that an awful lot of people spend most of their time using web-based or mobile-oriented software. That being said, there are certainly exceptions — and consequently, Chrome OS isn't going to be right for everyone. If you rely on resource-intensive local programs or have specific desktop utilities you can't live without — those without suitable web- or Android-based equivalents, be they custom business programs, professional-grade video-editing tools, or any other specialty software — a Chromebook probably isn't the answer for you. To claim that Chrome OS can't do anything, though, is just broadly misunderstanding how the platform works — not to mention how an ever-expanding number of people use computers today. Myth #2: Chromebooks are completely useless without an internet connection. This one's as dated of a dogma as they get. Its foundation has a kernel of truth to it: When Chrome OS first debuted, its offline functionality was, in fact, rather limited. But that hasn't been the case for ages. Web-based productivity tools like Gmail, Google Calendar, Google Drive, and Google Docs have long offered offline access. The Chrome Web Store has pages upon pages of other offline-ready apps — everything from news apps to note-taking tools and voice recorders. Then, of course, there are all the Android apps you can install — all of which work offline just as they do on your phone. This actually provides some advantages over a traditional desktop OS setup, since many services in areas like multimedia streaming (hi, Netflix and YouTube!) offer the ability to download content for offline consumption via their Android apps but not from their websites. Long story short: Other than tasks that would inherently require an active connection on any computer -- looking at live versions of web pages, retrieving new email, and so forth — there's really not much you'd want to do on a Chromebook that you couldn't do offline. Myth #3: Android apps barely work on Chrome OS. Ah, yes: another one based on stale information. Google has gone through a few different attempts at bringing Android apps onto Chromebooks — and, in typical Google fashion, most of those were conducted in a publicly visible beta-style manner. If you tried out Android apps on Chrome OS a year ago, though, you're in for a surprise. The stability and availability of titles on the platform has come a long way since Google first started experimenting with the idea, and in recent months, it's reached an entirely usable and frequently compelling point. Now, don't get me wrong: The experience of using Android apps on a Chromebook still isn't perfect, and there's absolutely still progress to be made. You will run into the occasional app that just doesn't play nicely with a Chromebook, no matter what you do. And some Chromebooks seem to be better than others at running Android apps effectively. Chromebooks coming out now, fittingly, seem to be best-suited to the task. I've been trying out Asus's Chromebook Flip C302CA for the past few weeks (more on that soon), and I've been pleasantly surprised with how smoothly most apps I've installed have run — and how far they've gone in filling in the gaps that were previously present in the Chrome OS environment for me. As I posited last spring, this move has the potential to be massive — much more so than it may initially seem on the surface. And it isn't only about filling in the gaps. Think of it this way: Your Chromebook isn't just a laptop anymore. It's also, for all practical purposes, an Android tablet — one with a lot more bang than any traditional Android-based slate. Myth #4: You could just open a full-screen Chrome browser window on any PC and get the same experience you'll get on a Chromebook, plus a whole lot more. This statement — typically made, in my experience, by someone who's never used Chrome OS in its current state for any extended period of time — represents a core misconception about the platform's very purpose. Sure, you could run most web-based applications from any PC. But to say that's the same thing as using Chrome OS is overlooking some significant factors and also just grossly missing the point. The reason Chrome OS doesn't run local applications and act like a traditional PC environment is because the type of person the platform is designed for doesn't need local applications or a traditional PC environment — and eliminating those elements allows some attractive benefits to be added in. By their very nature, Chrome OS systems boot up and get you online almost instantly. And they make a lot of things about traditional computing environments feel outdated: the cumbersome setup and installation procedures; the annoying and time-consuming OS upgrades; the need to manually update applications over time; the need to use antivirus software (and the accompanying likelihood and potential consequences of infection); the reliance on complicated drivers; and the inevitable bogged-down, slowed-down effect that always seems to happen to PCs after you've had 'em for a few months. Chrome OS is constantly improving, with new software updates streaming onto your device seamlessly in the background every few weeks. Factor in Google's universal syncing system — in which all of your data, settings, extensions, and applications are continuously and automatically saved and instantly available on any device you sign into — and you've got a unique sort of setup that, by design, is most certainly not the same as what you'd get on a traditional PC. And all of that isn't even touching on the possibilities opened up by the presence of Android apps on the platform. Being able to run the same apps you know from your phone on your desktop computer — both those that are more fully featured or touch-optimized than their web-based equivalents and those for which there is no desktop equivalent — is a pretty powerful perk with some pretty interesting implications. I'll say it again: Chrome OS isn't right for everyone — and that's okay. It doesn't have to be. Like anything, it has its share of pros and cons, and what makes sense for one person doesn't necessarily make sense for the next. No matter how you look at it, though, dismissing an entire platform based on inaccurate information sure seems like a silly thing to do.